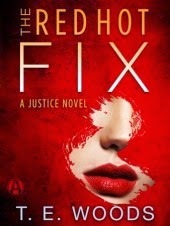 Goodreads: What do you say, Morton Grant, Chief of Detectives? You got what it takes to find me? Show me a move. . . . Or I’ll have to show you one of mine. Kritters Thoughts: Book two in a series or trilogy and before you read this review, you are going to want to read book one! Now that that is out of the way, if you are a fan of the mystery genre, you should absolutely read these books. Not only is there a main story line with a who dun it, there are fantastic underlying story lines that weave in and out. The main story in this book is a lady of the night who is taking out clients and Mort must find out who this lady is. Lydia is back in this book and has an investigation of her own that smartly ties into Mort's case. With great characters and fantastic action, TE Woods writes a great thriller that a reader of the genre will find fresh and new. I absolutely loved the inclusion of little parts that were from the mouth of "Trixie" - it may be weird, but it is fun to hear from the mouth of the culprit. Again, I would start at the beginning, but this is a great sequel.